Looking for the best Android TV apps 2019 for your Android Phone? Then this article will help you a lot. 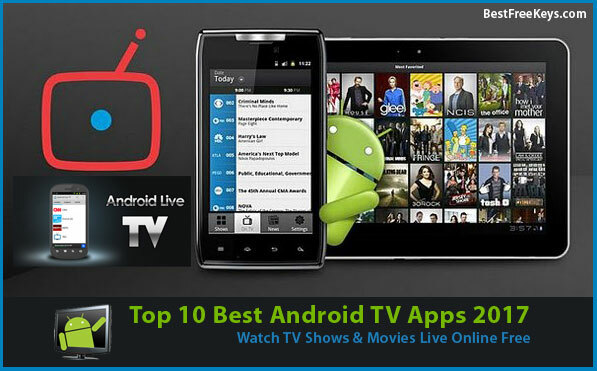 Here I include the top ten TV apps for your Android devices where you can watch live TV shows and Live TV online. You will find here both of free and paid versions of this app. So, read the article carefully and find out the best from this list which is suitable for you. 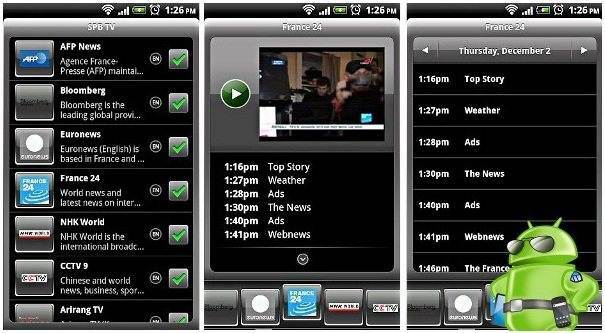 Phone TV Full is a TV app for the Android users. 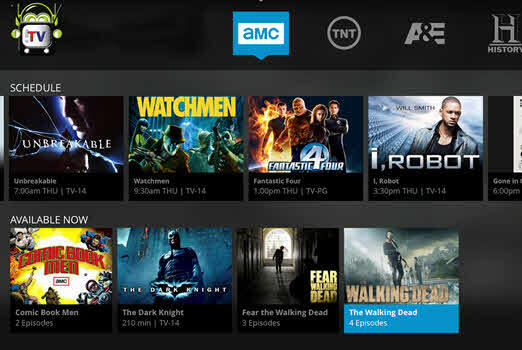 This app allows you to watch live TV and on-demand TV on your Android devices. You will find here multiple tv channels from all around the world. So, you can watch tv shows from this channels. It categorizes shows in various genres so that you can find your favorite shows quickly. This app also comes with a simple user interface that is very easy to use. Crackle is a popular and free TV app for your Android devices that comes with lots of TV shows those are totally free and exclusive original. Crackle includes a large collection of TV shows over the world that is updated in every week. You can stream crackle on your android devices with other apps. This app also lets you make a list of your favorite TV shows to watch them later. It comes with an impressive interface that is very easy to use. 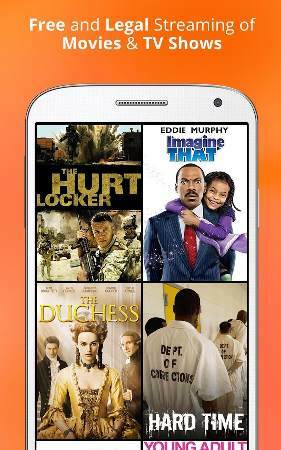 Crackle is also a great android app to watch free movies from online. you can watch best movies from online, TV Shows, TV Serials, playing games with crackle android app. Create your own watch list. HomeRunTV is a live TV streaming app for your android devices that enables you to watch live TV on your android devices. You can stream this app to your devices one of two ways. This app lets you watch live TV directly from their server to your device. You will just need a strong network connection and a powerful device. It decodes video into 1080i videos. HomeRunTV helps you to diagnose signal issues. 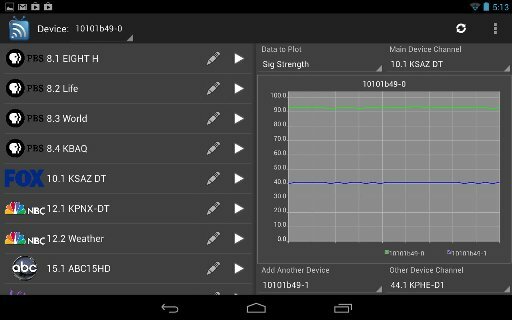 This app lets you view the signal strength of channels. decodes video into 1080i videos. view the signal strength of channels. Global Mobile TV is a free android movie app that brings an innovative way to watch free TV shows on your android devices. You can watch live TV with Global Mobile TV. 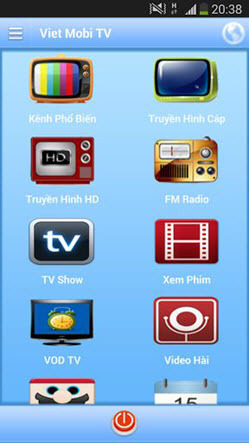 This app includes all major TV channels from all over the world. You will find here all varieties of movies with insight, courage and plenty of local flavor. Global Mobile TV app comes with a review and feedback option that lets you put your opinion about this app. It also offers an easy to use interface. Huge collection of TV channels. LiveStream TV is one of the best free android TV app that lets you watch TV shows on your android devices. You can also watch live TV shows from lots of local TV from around the world. This app includes a wide range of channels to browse. It also updates the channels automatically on the regular basis. This app supports DNLA and Chromecast. LiveStream TV provides you a search option. This app also allows you to share your favorite shows with your friends via twitter, facebook and email. It comes with an intuitive interface. Intuitive, fast and easy interface. Tubi TV offers lots of free popular TV streaming to you. It is a good place for Live TV streaming. You can also watch here free movies and animes. Tubi TV has the largest library of free and legal TV shows that contains a huge collection of shows. It is also updated in every week and adds new free shows. This app sorts TV shows in many categories. Tubi TV also supports Chromecast. It comes with a gorgeous design that is very easy to navigate. Weekly updated largest TV library. sorts shows in many categories. Beautiful and easy to use interface. MobiTV is a free TV app for your android Phone that lets you watch live TV. You can watch TV channels from over the world on your android phone or tablets. MobiTV contains over 45 thousand on demand videos and refreshes these shows every time. It provides Scheduled DVR recordings and One-touch recording to record events and so more from anywhere. You can search here for shows by title, genre, keyword, network, actor. It updates channels automatically, and you don’t need any sign-up process to watch TV. This app also provides integrated user interface that makes it fast and easy. Regular updated large database of TV shows. Scheduled DVR and One-touch recordings. SPB TV is one of the most popular and best TV apps for streaming TV on your android phone. APB TV enables you to watch live TV shows from all over the world. 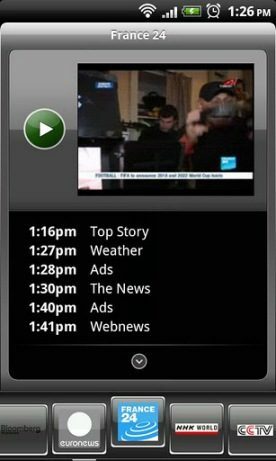 SPB TV app includes more than 200 TV channels from around the world. You can search here by keyword for your favorite shows. It provides on-screen controls, quick channel preview, and fast channels launch and switching. This app supports Chromecast. Miracast, WiDi and Adaptive Network Bandwith. SPB TV comes with an intuitive and user friendly User Interface. Fast channels launch and switching. Intuitive and user friendly Interface. 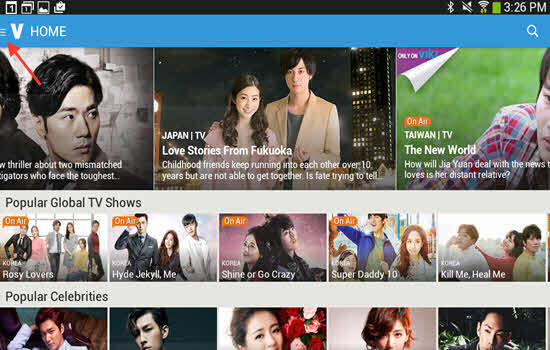 Viki is a TV streaming app for the android users that lets them watch Live TV and their favorite tv shows on their android devices. Viki provides a variety of TV shows those helps you a lot to get entertained. This app arranges subtitles in multiple languages. It also includes various popular genres. This app provides live conversation system where you can join with the fan community. Viki lets you rate and review your favorite shows and discover popular series those are recommended by other peoples. You can also share your favorite shows on many social websites like Facebook, Twitter, SMS, email, LINE. 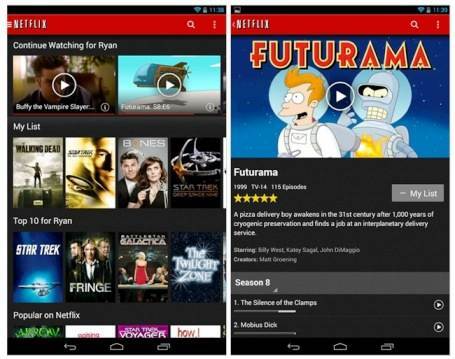 Netflix is one of the top TV app for Android that is the world’s leading subscription service where you can watch TV episodes on your android devices. You can enjoy the best live TV experience with Netflix. Netflix gives you access to limitless TV programs. You can watch lots of TV episodes instantly whenever you want. It provides a search box where you can search for your favorite shows to find them quickly. This app enables you to put your feedback about your favorite shows by rate and review them. Netflix also provides resume capabilities. Know more & Download free version from here. Google Play Movies and TV is another way to watch tv and movies in your android phone. on the listed above tv apps, all of them are not free. Some Apps are free and also you can download movies also. If you want to watch new movies and advertisement free Live tv shows, then you need to buy any one of the best tv apps for android to enjoy watching tv and movies online.